Go to the screen west of the anthill. After few seconds, the Roadrunner will appear. If you click the eye icon on it, you will get the message, "It looks like something's after him." If you click the hand icon, you will hear "Beep! Beep!" At the scene in the mountains where Cedric gets caught by the wolf, look at the middle mountain peak. The narrator will say the mountain looks vaguely familiar to Graham. It has the same shape as the Half-Dome in Yosemite National Park, Sierra's logo. Put cape on sled after it crashes (non collection version of game). SAVE first. Cedric the owl from King's Quest 5 at one point appears in Ms Astro Chicken. Click the talk cursor on yourself repeatedly. 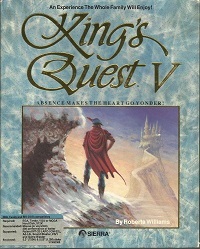 There's a chance of 1 in 15 that Graham gives a reference to Cedric the Owl of KQ5.